1 new sound for shipping port company. 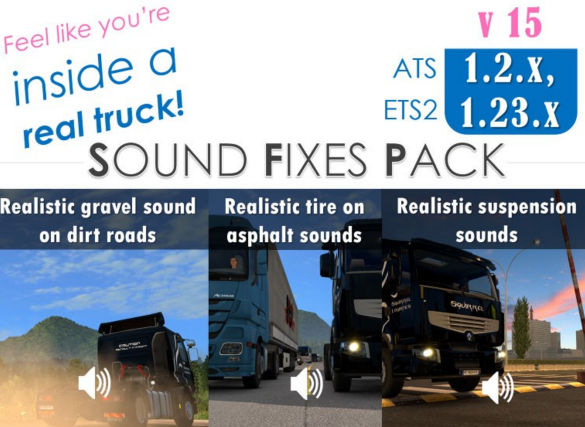 [ATS edition] 3 new ambient sounds available inside cities. [ATS edition] Enhanced some sounds of the rail depot company. [ATS edition] New forest ambience sound available in rural areas. [ATS edition] Reworked train sounds. Train horns when approaching will be more frequent. Discontinued rattle sound at high speeds. Reverted back to v14.3 retarder sound. Balanced rumble stripe sound for both lower and higher speeds. Optimized some def and sound files. Cleaned quality of external suspension sound. Cleaned quality of helicopter and biplane sounds. As of v15, the def file will only be necessary to install/replace once. When downloading future updates of this pack, you do not have to update the original def file. the base file in mod folder. Simply put the base file in the mod folder, replace old version, and play! 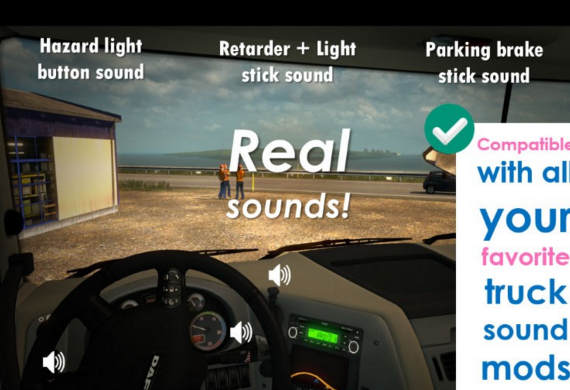 Compatible for and tested on ETS2 version 1.23.3 + ATS version 1.1.1. 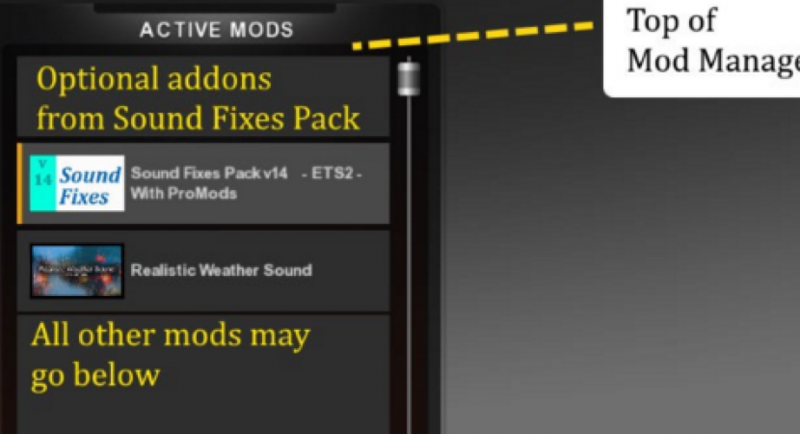 In most cases, mod requires highest priority in Mod Manager, above map mods, environmental mods and AI traffic mods.